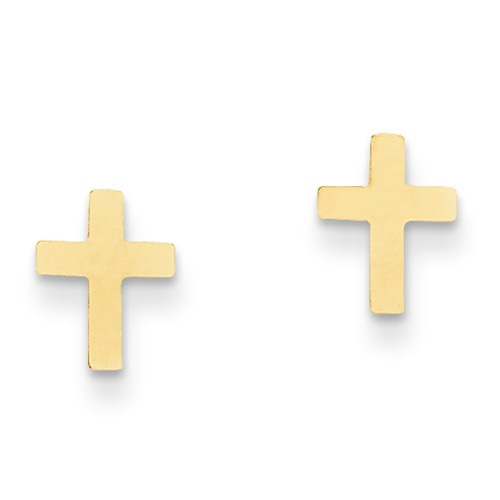 14K solid gold cross earrings in a smooth, polished finish. Measures 8mm x 5mm in size. Includes secure, post and screw-back closures. We guarantee our Cross Earrings, 14K Gold to be high quality, authentic jewelry, as described above.